Infused brew is set to include marijuana’s psychoactive compound. 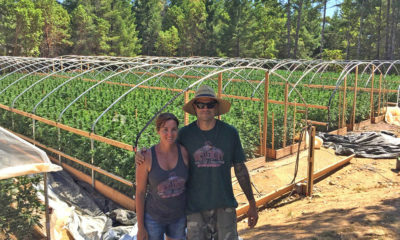 It has been mentioned more than once over the course of the past few years that the brewing industry is gunning for a slice of legal marijuana. After all, if it doesn’t find a clever way to get in on the multi-billion dollar ganja games, it is conceivable that some craft brewers could find themselves dancing for nickels across the street from where their once thriving businesses existed. It is for this reason several beer-slinging forces in the U.S. have dipped into the cannabis scene in recent years. One of the latest additions to this cannabis-inspired booze sector includes “The Hemperor HPA” from New Belgium Brewing. But so far, none of the brew houses have been gutsy enough to produce a mad science version of America’s favorite sudsy beverage that actually gets the user stoned. At least, not until now. Keith Villa, the man responsible for concocting Blue Moon Belgian White with the Coors Brewing Company, has emerged from his hangover with one of the largest alcohol producers in the world, to launch a brand spanking new line of beer. This brew could, perhaps, go down in history as one of the brewing industry’s most shinning moments. 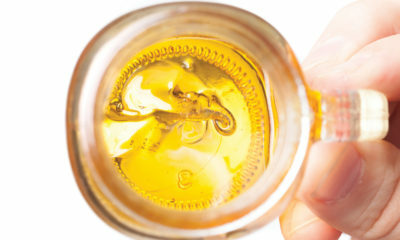 Unlike other craft brewers that have dabbled in toker trends over the years, Villa’s company (Ceria Beverages) has designed a beer where the buzz at the bottom of the bottle is one that comes strictly marijuana’s intoxicating compound tetrahydrocannabinol (THC). But what stands to lead this brew to rockstar status within the cannabis community is the fact that it does not contain any alcohol. Instead, Ceria brews, which was developed the help of cannabinoid tech firm Ebbu, comes with three different levels of THC. We’re guessing one for beginners, intermediates and the full blown professionals. Make no mistake about it, despite the beverage’s lack of alcohol content, it is still very much a beer. “Ceria will be brewed just like an alcoholic craft beer to maintain its beer taste and aroma, but will then be de-alcoholized prior to the infusion of cannabis,” Villa explained. He told Forbes earlier this week that the goal of this beer is to allow customers to “watch the Super Bowl and drink a six-pack and not get totally stoned.” But getting really high is still always an option. At first, Ceria Beverages will only distribute its sudsy buds throughout the state of Colorado. Of course, the company plans expand to other legal marijuana states in the future. Thanks to federal prohibition laws, there are some legal snags that make it more difficult for Ceria to maneuver through the channels of legitimate commerce than it is for other brew houses. Although beer is perfectly legal nationwide, all bets are off as soon as alcohol is replaced with THC. Much like other cannabis edibles and beverages, Ceria can only be distributed through state-licensed dispensaries. These beverages still contain too much outlaw to show up in convenience stores, liquor outlets or at some downtown Denver dive bar anytime soon. In fact, it is this limited distribution that has prevented many craft brewers from producing marijuana-themed installments with ingredient other than hemp seed oil. They do this because products derived from hemp seed are perfectly legal to sell in all 50 states. Although some of these concoctions do contain CBD, the non-intoxicating compound of the cannabis plant, they have absolutely no THC content and come with an ABV between 4.2 and 7 percent. These beers are more of a novelty than an honest attempt to squeeze into the cannabis trade. Although Ceria Beverages is the first company in the United States to bring the concept of THC-infused beer to market, it is certainly the kind of product that is stands to become more popular once legalization goes nationwide. We know this because Constellation Brands, the third largest brewer in the world, is presently working to bring a line of cannabis-infused beers to Canada. 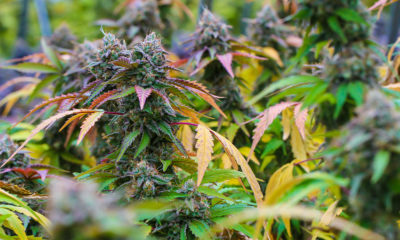 The country is set to legalize the leaf this summer. The brewer, which is infamous for its Corona and Modelo brands, invested around $200 million last year to get in on legal marijuana. It has also been said that other major brewers are monitoring the coexistence of beer and weed to figure out how to capitalize on it once the U.S. government finally bring prohibition to an end. As for Ceria Beverages, Keith and his wife Jodi plan to have the beers on dispensary shelves later this year. TELL US, would you try a pot beer?